The “pattern and practice” of no communication – sporadic communication – disjointed, inaccurate communication continues | Isn’t this the Fourth Friday? It isn’t – if you’re looking for information about it at the Susquehanna Chamber of Commerce’s Website. 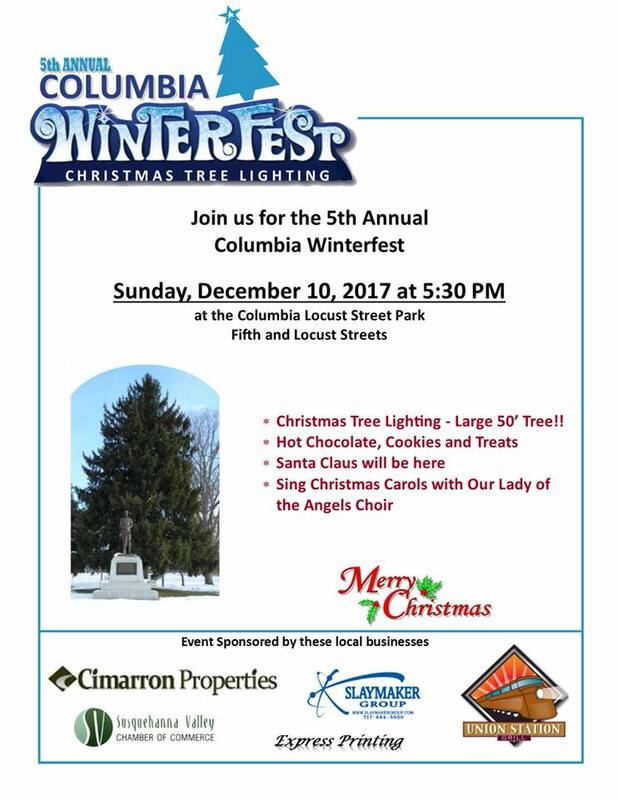 The same day as the 5th ANNUAL COLUMBIA WINTERFEST TREE LIGHTING! But what about Fourth Friday? Can anyone find information about this event that’s been an ongoing monthly event? Can anyone believe what’s stated at the Website? According to the Website, Kathy Hohenadel is the Chamber of Commerce’s executive director? Is she? 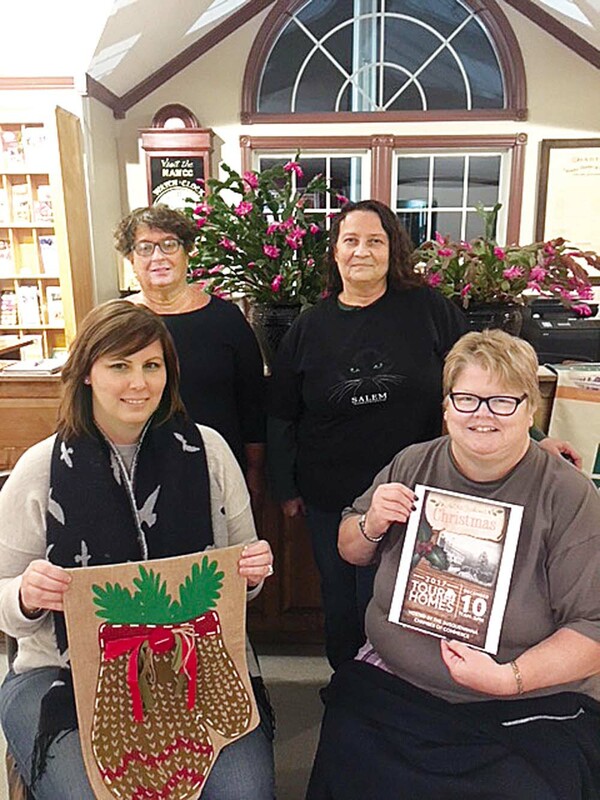 8 through 10—Columbia Historic Market House | Old Fashioned Christmas Weekend. Open until 5pm on Sunday 12/10. 9—Ornament Making at Columbia Crossing (11am-3pm) Suggested donation of $2 per person. Sunday, December 10 – An Old-Fashioned Christmas: Mittens & Mufflers (11am-5pm) Think gingerbread decorating, cocoa, caroling, holiday decorations, carriage rides and home tours. Stop by Columbia Historic Preservation Society (19-21 North Second Street) to see the train display, visit with Santa., and stop by Santa’s Secret Workshop At 4:30 pm hear Librarian Lisa Greybill read the classic ‘Twas the Night Before Christmas” at the gazebo in Columbia’s Locust Street Park. Linger in the park for the lighting of the town Christmas tree at 5 pm and another visit from St. Nick. Tickets are available at the SVCC Visitors Center (445 Linden Street) or by calling 684-5249 through December 9. Tickets will cost $12 in advance or $15 on the tour day. Why can’t Columbia have a reliable, inclusive Website like this one?